With the new regime in Pakistan, will Washington's' $300 mn aid cut work? How should the world treat Imran Khan? 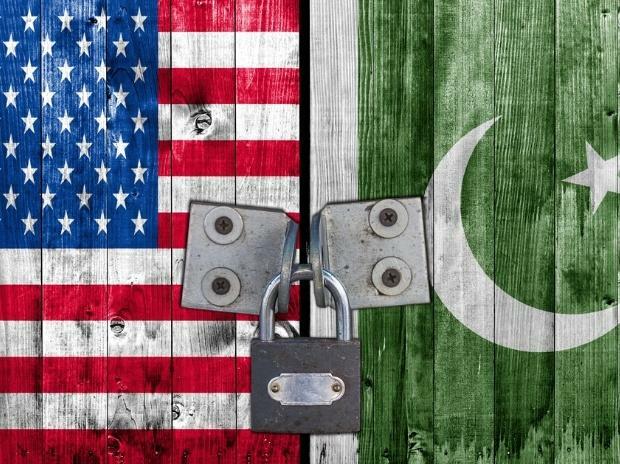 The United States accuses Pakistan of playing a dangerous double game, taking billions in US aid since 2002 while supporting the Taliban and other militants who attack American forces in Afghanistan. Its decision announced Saturday to cut $300 million in military aid is part of a broader aid suspension announced in January, as US President Donald Trump tries to pressure Islamabad over its alleged support for militant safe havens. The cut came days before Secretary of State Mike Pompeo is due to touch down in Islamabad for his first visit since the election of new Prime Minister Imran Khan, who has vowed to seek better relations with the US amid a new push for Afghan peace talks. Pakistan's Foreign Minister Shah Mehmood Qureshi played down the cut. Analysts have said the move highlights the difficulties of trying to control a quasi-ally whose support is vital in the long-running Afghan conflict. Washington accuses Pakistan of supporting militant groups including the Afghan Taliban. It says the insurgents have safe havens in Pakistan's border areas and links to its shadowy military establishment, which aims to use them as a regional bulwark in Afghanistan against arch-nemesis India. Pakistan's support for these groups must end, Washington says. Islamabad has repeatedly denied the accusations, insisting it has eradicated safe havens and accusing the US of ignoring the thousands killed on Pakistani soil and the billions spent fighting extremists. On Saturday the Pentagon announced it was cutting $300 million in aid to Pakistan "due to a lack of Pakistani decisive actions in support of the South Asia Strategy". The request was pending Congressional approval. Qureshi said the money was part of the Coalition Support Fund. The funding, worth $900 million, is set aside to refund Pakistani spending on counter-terrorist operations and helps pay Pakistan for allowing US and other NATO supplies into Afghanistan. In January Washington announced it was freezing payments from the fund as part of a broader suspension of up to $2 billion in aid. US officials have said that aid could be restored if Washington sees decisive action from Pakistan. The $300 million cut and comments by a Pentagon spokesman suggest Washington does not feel this has happened and is ratcheting up the pressure. "It is not a new aid cut. It is a just an implementation of former aid suppression," analyst Huma Yusuf of the Wilson Center in Washington told AFP. US figures show that more than $33 billion has been given to Pakistan in direct aid since 2002. Cutting the money off seems an obvious step. It has been suspended before, notably after the US raid in Pakistan in 2011 that killed Al-Qaeda leader Osama bin Laden, which drew suspicions that he had been sheltered there for years. But the US does not want a complete break in ties with Pakistan. It needs access to its roads and airspace to get supplies into Afghanistan. Pakistan is also still believed to have the strongest influence over the Afghan Taliban, making its cooperation necessary for any peace talks. Momentum for fresh negotiations has been growing in recent weeks. Pakistan also holds the Muslim world's only known nuclear arsenal. The US wants to prevent it from going to war with rival nuclear power India, or allowing the weapons to fall into the hands of extremists. "This is something which of course has got Islamabad's attention, but (is) not sufficient enough to rattle the current government," Pakistani political scientist Maria Sultan told AFP. Some analysts have said there is no real way to pressure Pakistan, which believes it is more important to keep Afghanistan out of India's orbit than to clamp down on cross-border militancy. Others say the US risks driving Pakistan further into the orbit of China, which is investing heavily in the country. The announcement, and Pompeo's visit, come weeks after Khan took office amid concerns he would remain tolerant of militant groups. When the aid freeze was first announced in January, Khan, then in opposition, called for Pakistan to close the US supply lines to Afghanistan. Since coming to power he has called for a more balanced relationship with the US. But questions remain over how much influence he will have in a country where foreign, defence and security policies are widely seen as controlled by the powerful military. Qureshi says the two countries have "shared objectives" and vowed to raise concerns with Pompeo when he visits this week. In the end, observers say, until the US addresses Pakistan's fears over India, it will not shake its support for militant proxies.